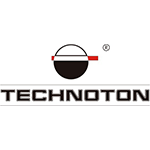 Technoton is a worldwide operating company focused on the development of fuel monitoring and automotive telematics solutions for commercial fleets and stationary units. The company designs and manufactures products for vehicle tracking and stationary assets monitoring: smart fuel level sensors, precise fuel flow meters, safe contactless CAN bus data readers, intellectual vehicle data interfaces, multipurpose axle load sensors. The chart below shows the changes within the last 30 days in the number units of Technoton devices type are connected to Wialon Data Center.